The internet is rapidly growing, and so is its scope. Around a decade ago, e-commerce came into existence and changed the way people purchased anything forever – be it bare necessities or items of luxury. Along with that, the concept of “work from home” has gained both attention and importance. Let me tell you a secret! No matter how widespread the online world seems, there’s still a lot of gap in the industry to fill, and if you are smart enough to fill that gap, you’ll be able to make more money than you could ever imagine! Starting a business online has a lot of advantages. I don’t even need to talk much about this point. You are exposed to a larger audience, the competition is still at a bare minimum, you have a greater potential to show off your skills and make money, and the list goes on. But the first and perhaps the most devastating barrier which will prevent you from getting ahead is your faith. Home has a lot of distractions; my family would keep on disturbing me, the society would make a standing joke out of me, thinking I am yet another crazy, but good-for-nothing guy and all other such excuses would pop up. My friend, if you don’t adapt to the changes of this rapidly changing world, you will be thrown out of the competition anytime soon. Working from home is easy, cheap and convenient. If you need some evidence on why work from home strategy works, I strongly recommend you to check out some home business opportunities on the web. This excellent piece of content reveals the business opportunities which will further strengthen your belief. So, are you ready to take the leap of faith and start your business online? I have done a lot of research and brainstorming for you to make this easy roadmap. Your road to success at work from home businesses and the roadmap can be divided into three stages! Your website is your promotional brochure, you will need a website to establish yourself.Many people stay away from the online world because they are dumb about websites. But believe me; it’s very easy for small businesses. There’s a domain and a hosting. You need both of them to get your website live. Your hosting is like a house where everyone can stay, and a domain name is like its address that points out to the place. Talking about the web design, you don’t even need to hire a designer. A Website Builder makes your work very easy. Yes, you may go with an easy-to-use web builder like Wix. Let me tell some interesting information about this amazing website creating tool! Wix is one of the top website builder tools which have been founded in the year 2006. Here, you can build stunning websites without any coding knowledge. As it has a wide range of customizable themes, you could build a blog, static page, magazine based and e-commerce type of websites. Having an insightful, easy-to-use HTML5 drag & drop editor is the remarkable feature of Wix, website builder. Besides, it has millions of users worldwide and thus it leads to the introduction of new products and abilities which would bring a massive amount of users in the upcoming years. Out of all, you could create the amazing Emails for your subscribers within few minutes. Yeah, Wix has a preference to make, send and share the beautiful emails to your website audience through the specialized templates, quick contact integration, social media tools and mobile app. You might be wondering,Why Wix has incorporated this new feature and yes, email marketing is the constructive choice to grab a huge number of visitors to your website. There are a lot of online business concepts experimented by the people which turned successful. Many out-of-the-box thinkers have resulted in the formation of business ideas that nobody gave a damn about before. 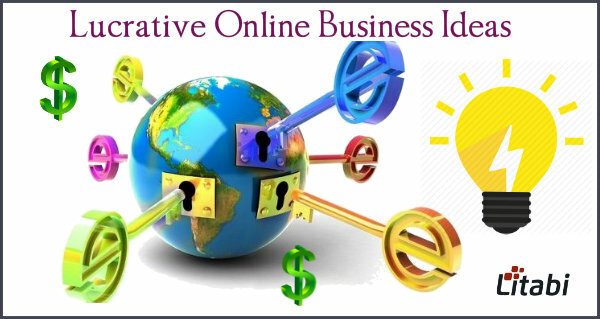 Here’s a list of 7 business online ideas that are tested time and again to work. Because being a real assistant is such an old school! There’s hardly any difference between a real and a virtual assistant although. You will be connected to your clients through the internet, and you will have to handle their stuff. You might even be asked to do some manual work. However, the main advantage here is that you can handle multiple clients at once. More customers ultimately result in more money! It is a myth that designing is terrible. The design is easy if your creative sense is exceptional. So if you’ve been good at drawing or acing childhood activities in your school days, you have enough scope at designing. You need to learn software such as Adobe Photoshop, Coreldraw, Illustrator, etc. Adequate knowledge of at least one of them is essential to get started. You can begin by creating your account at Fiverr/SEOClerks and direct customers to your personal page later on. The main thing you should keep in mind in this industry is that “Designing takes time”. Rushing over it only results in a bad quality work. The world needs people who can juggle with codes. If you’re familiar with at least one of the programming languages, you’re ready to go. Here, practice matters more than knowledge. Thus, mastering one language is more important than studying half a dozen more. There are two ways you can make money with it – creating a software company which sells to the public or taking private orders from companies. Companies do need coding work, don’t they? Both the sides have their own set of advantages and disadvantages. Your software company can be profitable if you market it well while it might even produce zero income if things don’t work out. While taking orders ensures a steady little income but the scope for more money might be lesser. Smart businesspeople know how important it is to see things from different perspectives. They hire business analysts for this purpose. It is pretty obvious that such a business can easily be conducted online. You just need raw data from the company to analyze and suggest improvements. However, you need a qualification or at least enough knowledge at handling businesses for this job. Why would anybody qualify you if you aren’t qualified for it? As you have seen before, most people are dumb at managing a website. If you are knowledgeable in this field, you can lend a helping hand to them. You can offer a variety of services like website configuration, integrating domain and host, website designing, website optimization and more. In addition to this, you can earn huge money through Search Engine Optimization – if you are adept. SEO is a hot industry, and the rates are huge as well! Music provides relaxation to the soul. You can sell your composed music on the internet. If you have a band, going online is a significant advantage. People are interested in listening to what you hear. The interesting part about this industry is that you don’t always need a high command over instruments to make money. There is a huge market for selling music created through software. Also, you can make money online by making exclusive music for companies such as jingles. There are lots of people on the internet who do random weird stuff. You can sell handmade products. Also, you can do some random stuff that might be shameful for others. People are paid for funny singing, belly dance, sing happy birthday and what not. You can also try stuff such as mimicry, promote a message, perform stunts and play pranks. How about creating a website for such nonsense? There’s nothing much to say here. Pick a business plan that matches with your skill set. You should be able to sustain it in the long run and should have set of expertise and strategies to stay ahead of your competitors. Finally, create a noticeable website to showcase your skills and get started to make money on the web. I would say that the internet is an excellent place to make money with your skills. I have been making income through blogging, digital marketing, and writing as well. If you want to make a steady income on the web, I would suggest you build a spectacular website to showcase your skills to the client. What is your opinion about these online business ideas? Which business online tactic would you like to implement and make money with it? Would you like to create a dazzling website? Share your thoughts in the comment section.